Topic Summary - Displaying 15 post(s). I always thought of high fantasy as the serious swords and sorcery stuff, Lord of the Rings, The Belgariad, Shannara etc. I think the cheeser books are their own brilliant category - some sort of gentle, happy fantasy. Having re-read them just now for the umpteenth time I truely wish Mr. Blaylock would crank out even just one more. The closest I have ever found to the same tone and spirit is "The Face In The Frost" by John Bellairs, which was a one off written way back in 1969.
Who am I to argue with Lin Carter, I don't know who she (he? I hope it's not a he...) is, but regardless, Lin sounds like the person to ask about such things. The definition sounds pretty solid to me anyway. antasy. I am pulling this from memory- but Carter said High Fantasy takes place in a world of the author's sole creation, and it has elements of magic involved in the plot. Lin Carter said the very first modern fantasist was William Morris. High Fantasy in the past has had practicioners who favored humor in telling their stories, James Branch Cabell comes to mind. Now leaving aside this debate, I feel genuinely sorry for writers that can't write with warmth and pathos about cheese, dogs, marbles, toys, pies, a very good pint of ale,,,, and at the same time laugh up their sleeves in an harmless manner at those who take themselves way too seriously. Happy New Year! But the Cheeser books, as they're being called, can hardly be categorized as high fantasy. Sure, there are elves anf goblins and link-men (who I consider to be the Blaylock couterpart to hobbits), but the tone of the books are completely different. 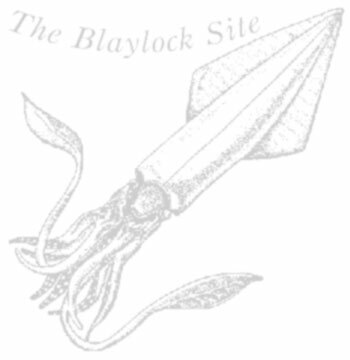 There's a tongue-in-cheekiness about Blaylock that just goes over the heads of most people. At least I assume it does, or Blaylock would have a much more prominent name. I think it would be very difficult to translate these books into blockbuster movies. I hesitate to ask for more in the series, although it is my favorite series of fiction ever written. Blaylock is a different man now, and a different writer. I would be afraid that he might not be able to recapture the same mood. Anything less that the originals might taint the whole series, which is currently without flaw. Silver-if this is true--it deeply saddends me--especially at a time that I'm particularly stressed out (can't read anything but texts anyway right now). But JH has a point, high fantasy is something i think professors frown upon from other tenured writers. & the remarkability of this is-YES-high (YA) fantasy is actually for adult-minded folks & YES-it is THE THING right now-particularly for movies. i meant what i said in my 1st post--this is a land of trustibility in JPB's hands, of great humor, goodness, darkness & (cheese of course) but mostly of incredible taste & human appeal. the places we could continue to go in this series are also endless!! i'm still talking about more of Escargot, more of the undersea device trip & more of Jonathan & Dooly, the adventures & life of the Professor have not really been explored & etc!!!! there are certain books that touch you, certain parts of the artist that leave you longing for more. basically it's like a lover or maybe an addictive drug.... ok i've said too much-but there it is & now my hopes are squished---tantamount to squished on the side of the road & unrecognizable as a cat, dog, old mcdonalds bag with greasy fries run over by a diesel truck or just an old dirty shoe. I agree with you about Blaylock's productivity, but I was writing about content. Most of what he has been producing can almost be called magico-realism, not high fantasy like his cheeser books. Incidentally, most of the successful young adult fiction genre is also high fantasy, books like Eragon, Inkheart, etc. While teaching part-time at colleges puts demands on writers, being on a tenure track is something completely different. Unless things have changed drastically since I've graduated from college, writing departments just did not take fantasy-science fiction writers seriously, and Blaylock is in the creative writing department. New York Publishers though take fantasy SF writers very seriously because of the huge market. Maybe, as you say Blaylock can't return to his fantasy roots, but those roots are where millions of readers live. Yes. I also got word from Mr. Blaylock that the Templar book was in the final stages. That was a few months ago. Au contraire! Blaylock's employment hasn't slowed down his writing. He's written at least two young adult works ("Zeuglodon") about a girl who fancies herself a cryptozoologist, and he was working on a book involving a small town in California and Knights Templar, I believe, when I last spoke with him. New York publishers have kept declining his YA books - I can't fathom why, since YA has been exploding in the marketplace. Teaching at university doesn't stop Blaylock from writing -- he's been doing that since the late 70s/80s. Blaylock has the most amazing productivity of nearly anyone I know! He teaches at Chapman and heads up the creative writing program at the Orange County High School for the Arts. He also sometimes donates time building sets for the children's theatre, and keeps up with his family life. Amidst all of this, he still writes. Actually I think the publisher held onto the book "The Stone Giant" for quite a few years. Back then I was a bookseller for B. Dalton, and we had a resource called "Forthcoming Books", Blaylock had a title listed in it for a long time called "The Road To Balumnia". I showed it to Blaylock during a signing, he said it was being retitled "The Stone Giant". I personally think that as long as Blaylock is a professor at Chapman University we won't see much high fantasy from him, academia just does not produce much in the way of genre fiction, at least not much since Professor Tolkien. Tell Blaylock to put down the Derrida and write!